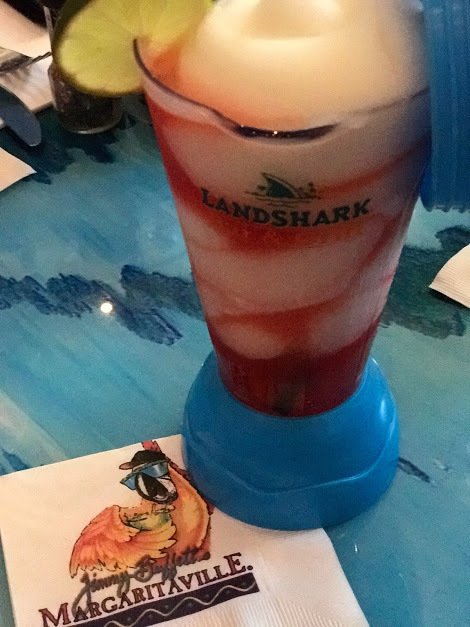 Margaritaville, Where it’s Always 5 O’ Clock! Vacation time in Panama City means relaxing on the beautiful white sandy shores of the Gulf of Mexico and eating some amazing food from local restaurants. 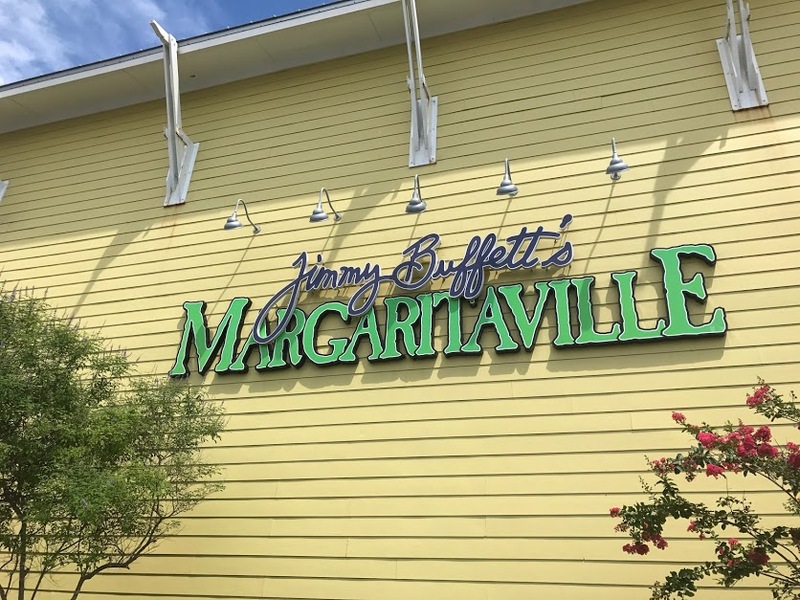 My family and I recently visited the area for a much-needed escape from our daily lives, and we found that the waves were calling us to dine at Margaritaville. Having never been to one before, we were not sure what to expect. 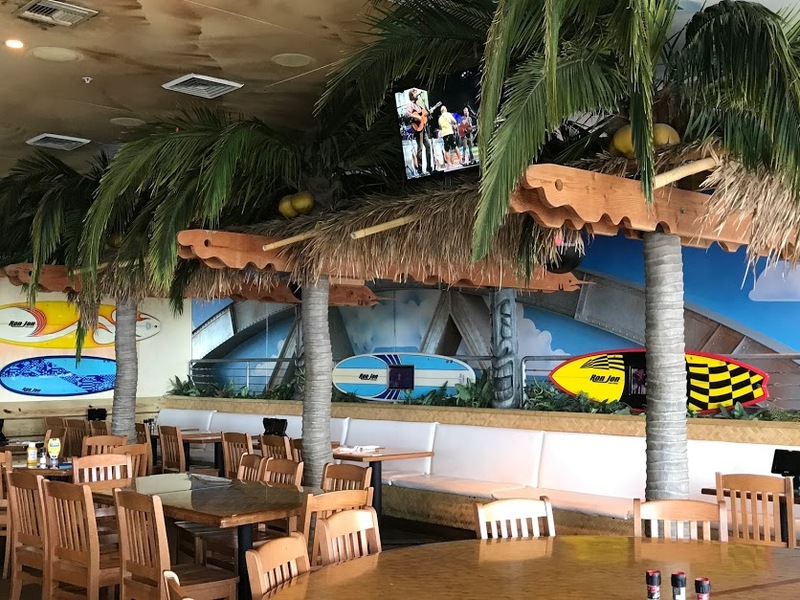 The overall atmosphere of Jimmy Buffett’s Caribbean themed restaurant, based on his lyrics and life, was inviting and fun. It is like having Jimmy as your personal tour guide, and you have escaped to an island where it is 5 o’clock all day! Located on Front Beach Road at Pier Park, this two-story restaurant provided a welcome escape from the sun and warm temperatures. It was easy to sit back and feel like you were in a native in the islands enjoying some refreshing beverages and delicious menu items while gazing at the waves crashing on the shore from the Porch of Indecision. 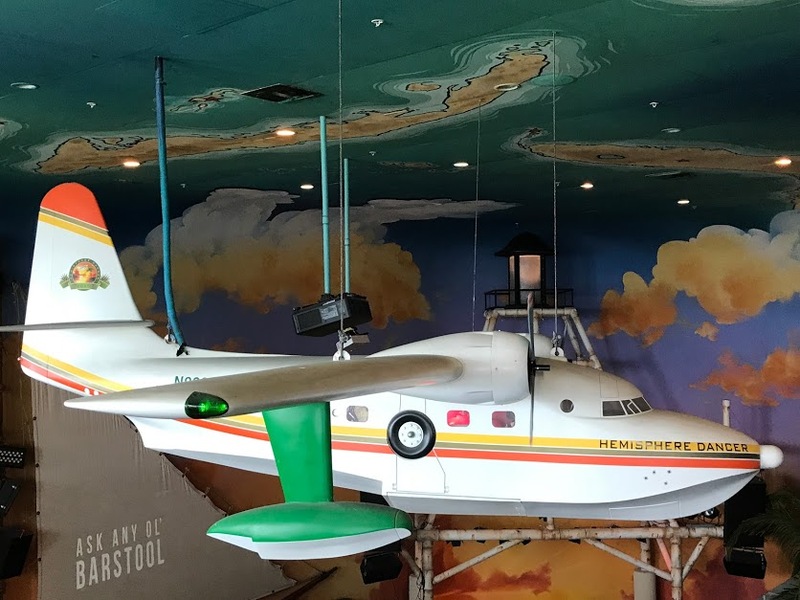 Whether you are a Parrothead or not, you will enjoy Margaritaville’s great atmosphere. The variety of music and several large-screen TVs will provide lots of enjoyment. You will even be entertained by the unique abilities of an amazing balloon artist on stilts. Our server, Dawn, was attentive to our needs and helped give us recommendations of what to eat and drink. 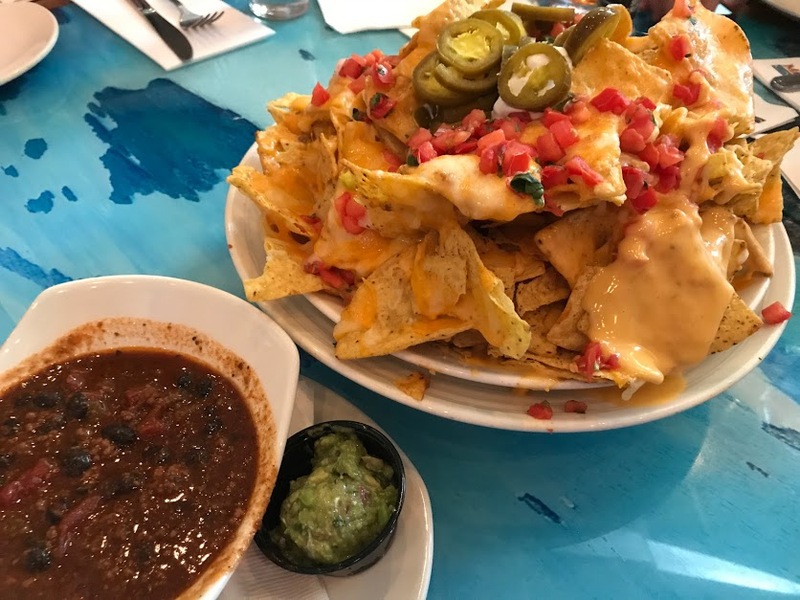 We started off with something we had seen on their menu, the Volcano Nachos. Little did we know just how BIG this plate of “molteny” goodness would be. Topped with chili, cheese, guacamole, sour cream, jalapeños, tomatoes, and scallions, this appetizer was erupting with flavor. Despite the best efforts of five, we couldn’t even finish this mound of nachos! It was MORE than enough for a family and then some. 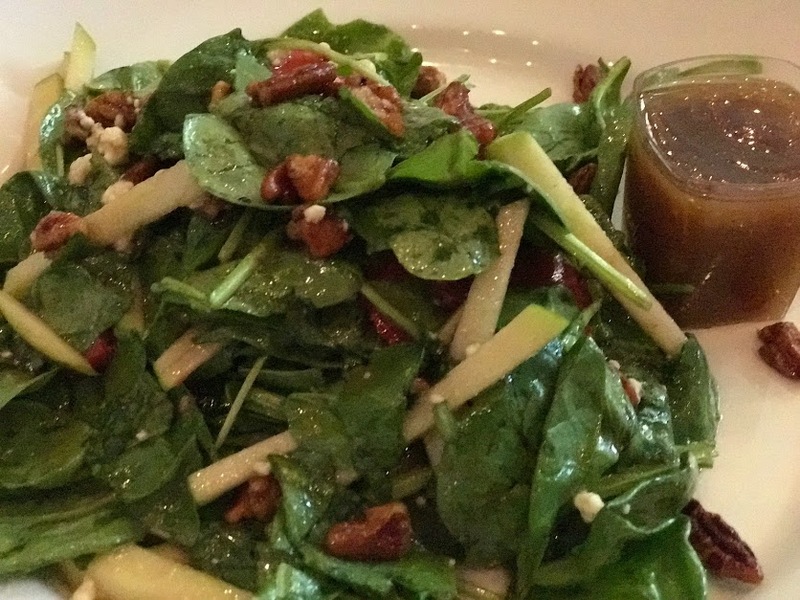 The Spinach and Strawberry salad tossed in a Sherry Vinaigrette was my choice for an entree. Made with fresh baby spinach and topped with ripe strawberries, crisp apples, candied pecans, and bleu cheese crumbles was delicious. Every bite was the perfect combination of flavor. Our boys enjoyed the Bison Burger, which I like to call “Bison Cheeseburger in Paradise!” Served with french fries and a dill pickle, this scrumptious and mouth-watering bison burger was topped with gouda cheese, tomato, lettuce and BBQ aioli. 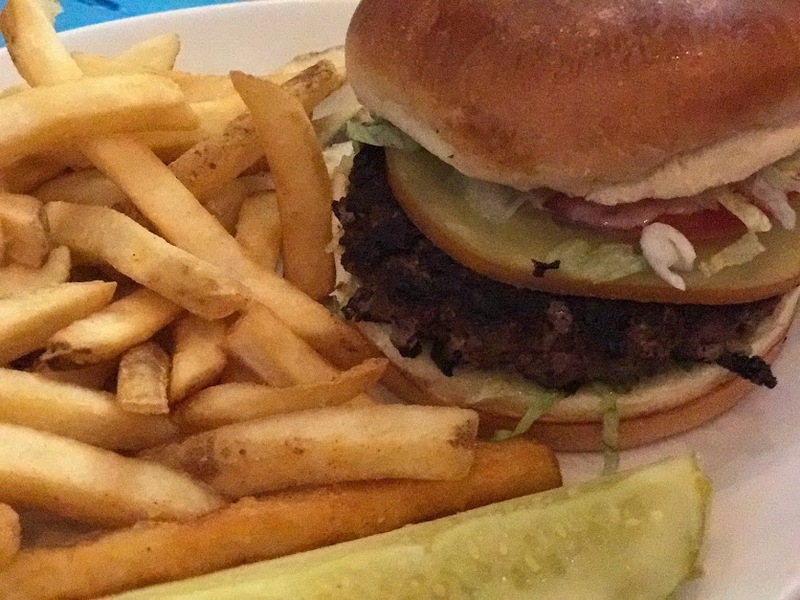 The burgers were moist, full of flavor, and very filling. From the Boat Drinks Menu, we chose the Last Mango in Paris and a Frozen Watermelon Margarita. 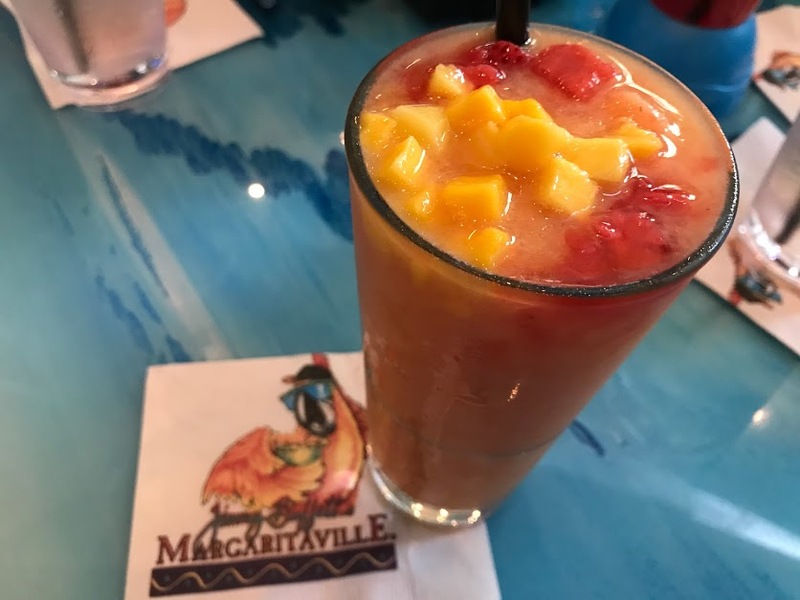 The Last Mango in Paris was served on the rocks and made with Margaritaville Last Mango Tequila, Cointreau® Orange Liqueur, a house margarita blend and cranberry juice. This drink was definitely smooth and sweet! The Frozen Watermelon Margarita, garnished with a fresh lime wedge, was beyond refreshing and served in the famous “Booze in the Blender” cup. Made with Margaritaville Silver Tequila, triple sec, watermelon purée and their house margarita blend, this specialty drink was strong, cold, and relaxing! Just what I needed because it was 5 o’clock somewhere! 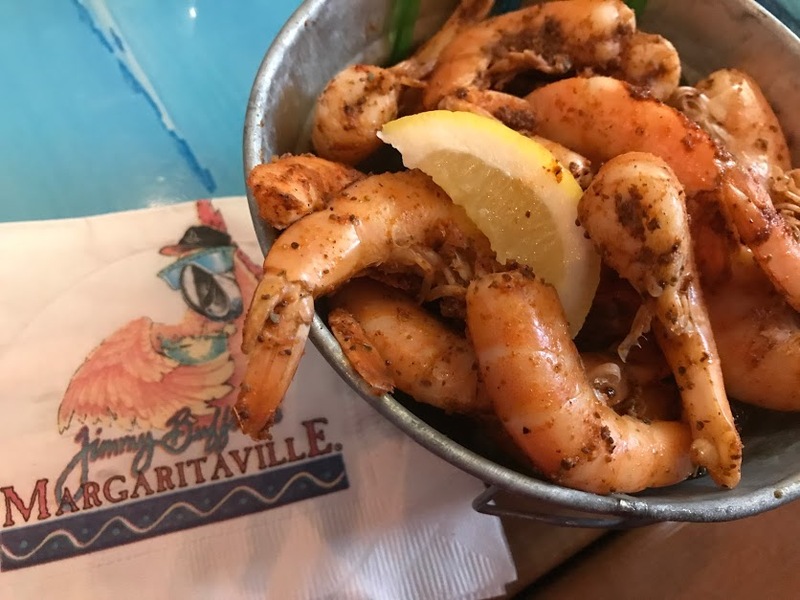 When life gives you limes, make margaritas at Margaritaville, Panama City Beach. Here you can set your clocks to island time and drift away! Relax for a spell on the Porch of Indecision while enjoying some refreshing beverages and delectable menu items. If you are in the Panama City Beach area, this is a MUST! Full Disclosure: I was provided with a complimentary lunch to facilitate this review. All opinions are 100% mine and were not influenced by Margaritaville. This place looks delicious! I love finding unique, authentic places like this to try while we are traveling. Putting it on our list! 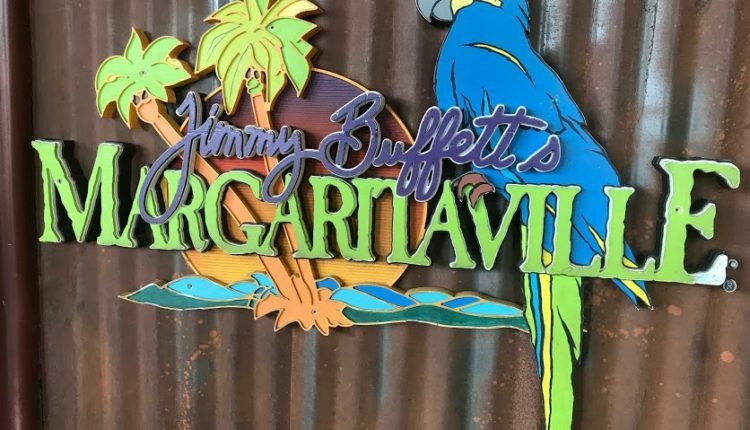 Jimmy Buffett’s Caribbean themed restaurant sounds like a blast to eat at. I have never been to a Margaritaville but would like to visit one at least once. I haven't been to Margaritaville in over 10 years. I want to go back so bad. This food still looks as delicious as I remember. Cozy place with delicious foods. The name reminded me of my Aunt Margarita, she's so cool. So I guess every one enjoys going to this place. I love Margaritaville. I think we went to one in Key West and one at Niagara Falls. It's always a beachy good time when we visit, no matter where we visit. Wow, the food and the drinks look amazing! I have never been to a Margaritaville! I've been to Margaritaville once at Niagara Falls, and it was a lot of fun! I love the atmosphere of the restaurant, it reminds me of the Rainforest Cafe! I love the atmosphere here since it looks so vibrant, kinda busy but nowhere near the city. The food also looks appetizing and delicious. I so want to try a Bison burger. That really looked good. We are planning a trip there next year and I will be sure to put this on our places to go. This is great, I need a vacation in a place like this: paradise! 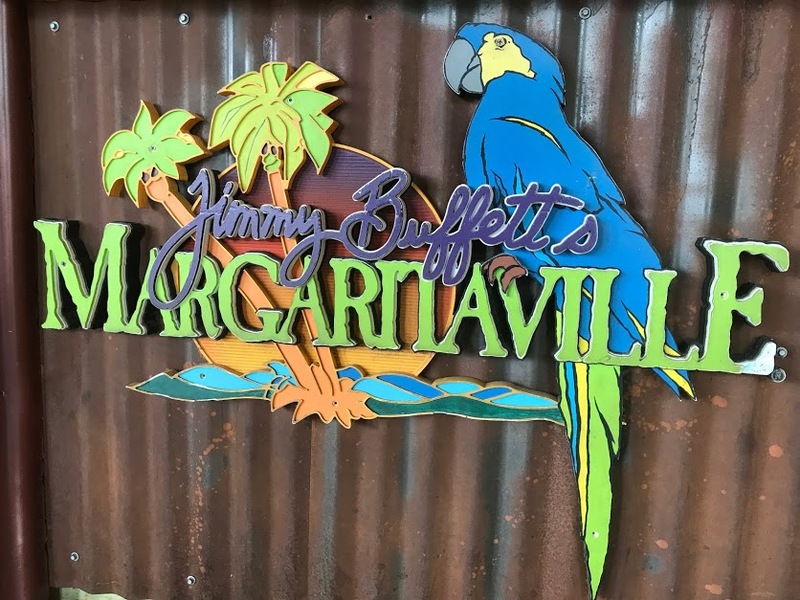 Margaritaville sounds like a great place to eat if you ever are in Panama City. I would actually try the Bison cheese burger even though I never had bison before. The The Frozen Watermelon Margarita is something I know I would defenetly love to try too. Thanks for sharing this amazing place to eat. Thanks for the review. The food looks so delicious especially the shrimps. I will definitely give this place a try. Look at all the delicious food!!! I'm so upset that I lived in Florida for so many years and not ONCE did I go to Margaritaville!! They have a beautiful place and nice line of dishes. I love those nachos, it is drooling.